Divinity In Us! Through the knowledge and cooperation with our "I AM" Presence we may obtain our perfection, ascension and full divinity. We discuss the Ascended Master teachings and develop their instructions for ascending. Bringing Heaven to Earth, we ascend with Gaia. For we have Divinity In Us! Many of us have heard of the term, spirit guide. And these are beings that have agreed to assist us while we are incarnated, although they do not incarnate simultaneously; usually. However, Guardian Spirits are those that have come into incarnational experience/expressions to assist Gaia and humanity; from other planets/realms that have already been through ascension process themselves. These are those that have purposely “dawned” a human incarnational experience, at this time. 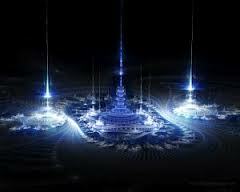 Though, they are from other planets/realms, they have purposely come to assist humanity and Gaia in their ascension. As a result of “already” having done this before, their energies are greatly assisting those that are choosing to ascend; as well as Gaia. Suzanne Lie and the Arcturians do a marvelous job at simplifying our process of ascension. And our galactic family is very encouraging to us, at this most auspicious of times. I highly recommend this book, if you resonate with ascending from growth that takes place from within to the without. This is “truth,” as I see it, as I totally resonate with their guidance/instruction. Much honor, gratitude and blessing for all that you bring to us, Suzanne and the Arcturians. We are told by the Ascended Host that we bring into our reality, seeds and actions that occur from our visits to the Ascended realm. And that they had originally instituted a day of thanksgiving for their joy of service with/for us. And as we are ever guided by these Divine loving beings, we “picked-up” this holiday from their energy, as well as our participation in it, and carried it forth into our reality. Much like we bring forth many of their teachings from their realm, we also bring forth energetic frequencies as well as experiences; that are existing in the Ascended realms. The paradox, is the inability for us to “recall” these happenings/occurrences. As we have been taught since childhood that these realms known as “dreams” and “imaginations” are “fictitious.” And in truth, these realms we dismiss rather lightly; are in fact as “real,” if not more “real,” than our everyday “waking” state. We are compassionate. And we are individuated aspects of Source. And as such, we are truly as compassionate as Source. As we see, Source chose to view the Creation through each individuated I Am Presence, and since we are Source we too view Creation through each other’s eyes. As we are all One. Thus, all that we see before us, is a reflection of some aspect of ourselves. And we are, in truth, an aspect of ALL that we see before us. All that is before me is my Creation, as I Am an individuated aspect of Source viewing All That I Am, before me. Many times, we hear those identifying themselves with their star family, which is another aspect of our individuated multidimensional expression/experience. But realize first and foremost, we are aspects of Source having a physical experience. When we are contemplating the past or the future, we are in our heads. When we are within the now, we are in our hearts. For the heart is from the octave of here and now, or no time. Whereas the mind, works within our 3rd/4th density perceptions of time; by design. As the ego conscious mind is what has allowed us this “elongated” expression of time. The perception of the “linear” experience of time, in the 3rd dimension is attained through this unique expressional construct, the mind. Although, we do seem to believe the holographic reality so much that we caught-up in the dream/illusion. We are being filled with the energetic frequency of Divine Flow of progress and forward momentum, through our Higher Self. And this Divine energy is being magnified as we are ever increasing in frequency and density. For we as a people and Gaia are ascending at great pace. When we recognize that we are the only resistance to these Divine energies, we can make the intent with our own Higher Self; to surrender to the Divine flow that is being given to us through our own Higher Self, in unconditional love. And our Higher Self and our guides will assist us in letting go of the need to “manage” this flow. As we surrender to this process and make the intent to ever maintain the harmonious Divine flow; our progress will be greatly accelerated. And we will progress gracefully rather than learning through harsher lessons. 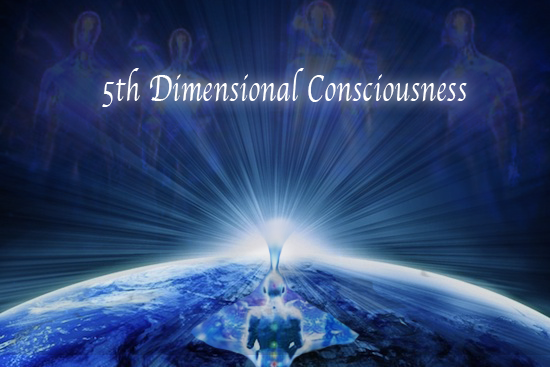 The P’s, as Wendy Kennedy speaks of the 9th dimensional Pleiadian Group Consciousness, speak of bringing back the Divine Feminine, once more. And they speak of this energy as having an aspect of a self-reflective and receptive energy that we have neglected within our own lives. Our current male-dominant, left-brain, reality is one of accomplishments from an outward perspective. And since this means being “on-the-go” always, we have difficulty taking time to turn inward. As most are caught-up in accomplishments from a rather external materialistic point of view. Our experience has been ongoing for some time in the 3rd density. And we have fairly recently progressed into the 4th density. And as this is our “new” reality, we are excited to be entering this new environment, once more. As we have all been here before, however, most of us, have little to no recall of this; as of now. So, what have we gotten ourselves into? If we take a look at the “densities” that we go through, we see that they each have their own unique “theme” for us to grow through and from. And while in the 3rd density, “courage” was the over-all theme. The new theme for the 4th density is… Love. And then we integrate wisdom into love in the 5th density. We are all living in a holographic universe that is made up of energy and vibration. And these are ever in motion. And the vibration that we personally experience is reflective of our state of being. If we are in a loving and harmonious state of peace, we are in a higher state of vibrational frequency; then when we are in a state of anger, condemnation, criticism or disharmony, in general. And as we strive to maintain this state of natural harmony, we open ourselves to more of our truth. For without the “clouds” of the lesser frequencies, we see more clearly and easily the truth of our reality. And the reflection that is ever before us starts to bring about a reality that is more representative of our true, pure and luminous natural state of being. Thoughts are Electrical and Emotions are Magnetic. Thoughts are electrical and emotions are magnetic. And this gives rise to the notion of the law of attraction. For when we keep our thoughts and emotions ever on what we desire, and in the state of being we desire reflected back to us, from a state of love; we manifest these into our reality. We are ever told from the Ascended Host that when we send out a thought or an emotion, it returns to us; with more of its kind. We always must be aware that we are always creating. And our creations “loop” back to us, as the creator of them. With more of their kind. And so, if we choose to live in a state of judging and bickering from within, we are gathering more “like-kind” for ourselves. Thus, the admonition, judge not lest you be judged by the same means with which you judge others. In other words, judgement begets more of its kind. And is this not an aspect of fear? Subscribe to Divinity In Us!